TruSim, formed in 2005, is a division of leading European independent developer Blitz Games that was established to create products that tap the burgeoning Serious Games market. 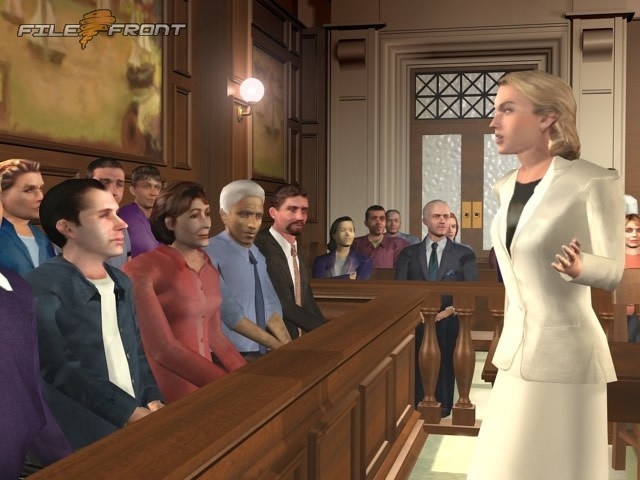 TruSim is developing prototypes, in conjunction with commercial and specialist partners, as well as leading educational institutions, that aim to demonstrate the potential of Serious Games as engaging visualization and training tools. “The games industry is naturally broadening its horizons,” says Mary Matthews, strategy and business development director at Blitz Games. 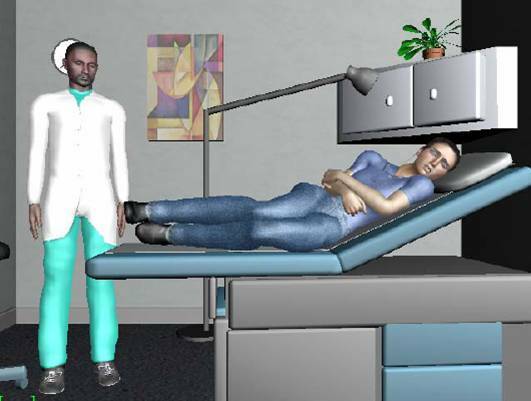 Currently TruSim is trialing a proof-of-concept prototype called Triage Trainer. 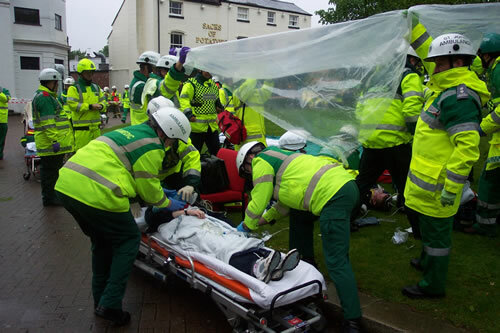 The game is set at the scene of a high-street explosion and designed for use during Major Incident Medical Management and Support (MIMMS) courses. It is being used to train clinicians, medical workers, paramedics and first responders to the scene of a major incident in a process called triage fifth, Mathews explains, which is when people arrive at the scene of an incident and need to prioritize casualties for order of treatment. “Learning through play is, after all, a well established educational concept, and the kind of generation that's now learning is very, very familiar with game play." 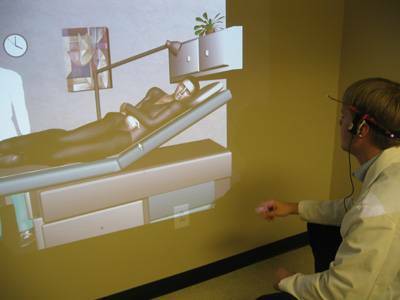 The automatic next step is to move training into a game play environment. 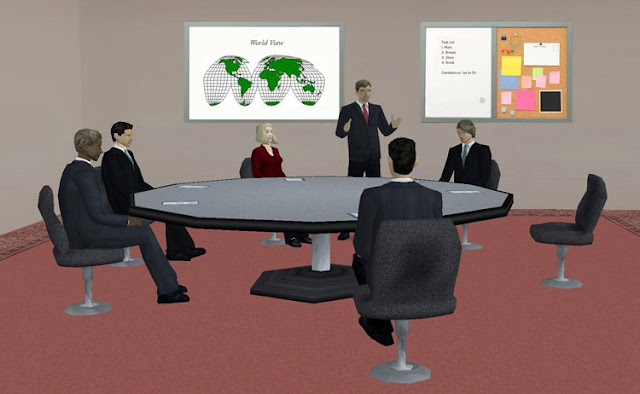 "Role play in corporate training is well established, well understood and effective. 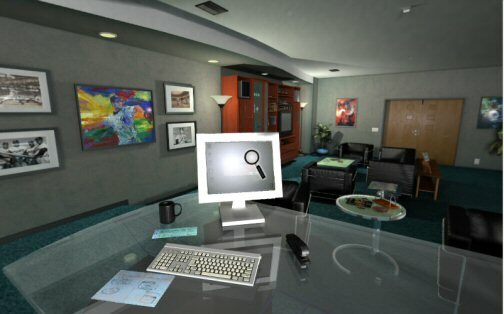 Role playing in a virtual environment, however, has the advantage of time saving because you don’t have to travel to one meeting place." Pulse!! 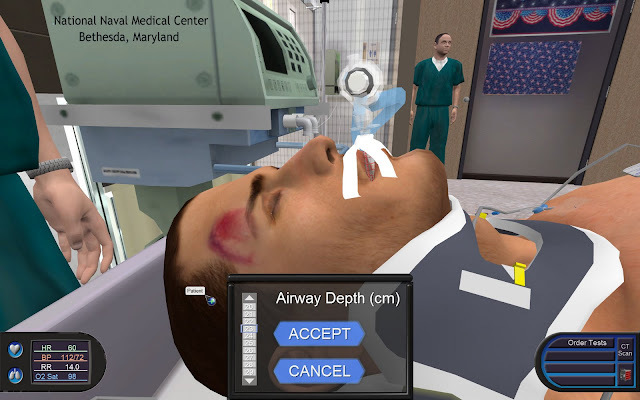 The Virtual Clinical Learning Lab created by BreakAway Ltd.
Games create conceptual touchstones—shared references that bridge different points of view and provide a common platform for conversation. That’s what most design deliverables try to do, with varying degrees of success. 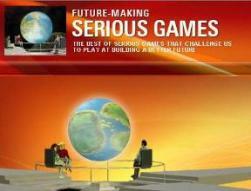 Games are participatory. Instead of the design team holing up to produce some artifact for approval, games can involve a broad spectrum of players, and that creates buy-in as well as common ground for conversations. 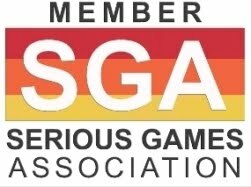 The accessibility of gameplay means that it’s not just a team of specialists involved, and the diversity of viewpoints from a broader group makes for better insight and innovation. Finally, games tap into different ways of articulating ideas that help bring tacit knowledge to the surface. Tacit knowledge is often the key to successful requirements, and yet design teams often miss the implicit assumptions and elements that people can’t articulate on demand: asking people what they really need is likely to give anything but. Games can help surface this missing understanding.